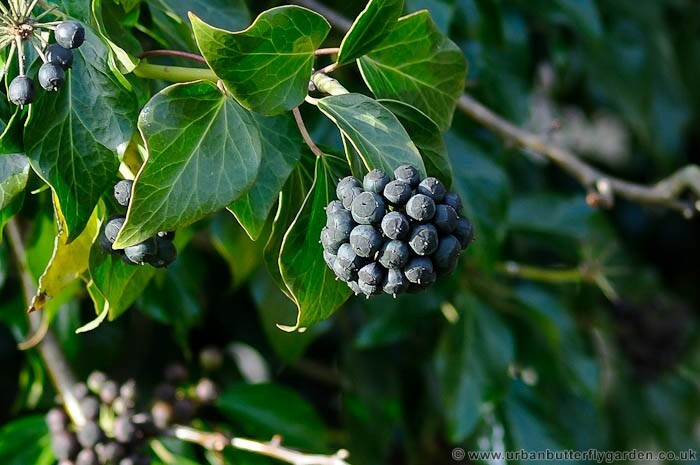 Ivy (Hedra helix) is a widespread and very common evergreen climber, often seen growing up garden walls and trees, becoming more noticeable during Autumn and the Winter months, due to its glossy dark green leaves, Small rootlets help climb and grip to most surfaces, reaching heights of 20- 30 metres if conditions a right. 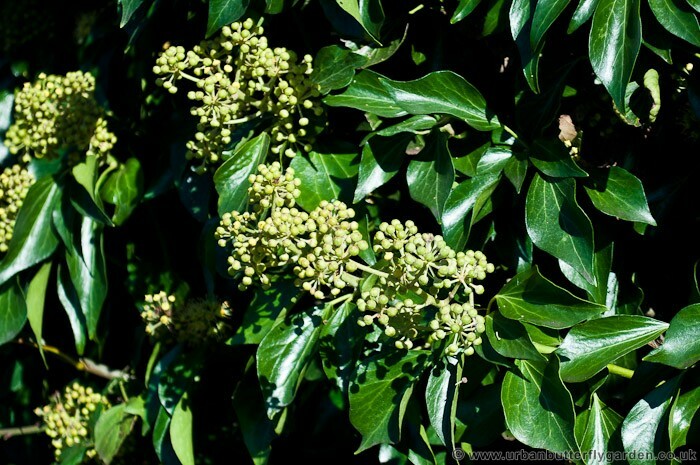 Common Ivy can also be found in shady places, amongst small groups of trees, and in hedgerows spreading across and sometimes completely carpeting the ground. 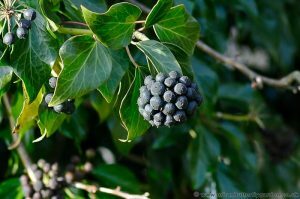 After flowering, berries appear which turn purple or black when fully ripe, these are eaten and enjoyed by many species of winter birds. 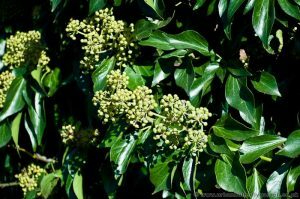 Ivy also provides shelter, and nesting sites for birds, it is a valuable plant for all wildlife, and recommended by the RSPB. During the Summer months of July and August, a Small Blue Butterfly the Holly Blue (Celastrina argiolus) may be seen on and around Ivy, in sunny sheltered Positions. 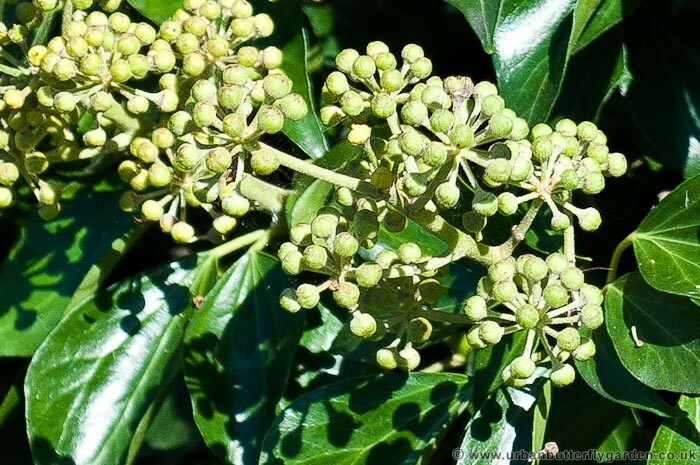 Bunches of Light yellow-green flowers appear September to October, they provide a rich nectar source, attracting insects like, Hoverflies, Honey Bees Bumble Bees, and Butterflies.